<a href=”http://www.bloglovin.com/blog/11588343/?claim=tzb8a42rj58″>Follow my blog with Bloglovin</a> Well……the last 2 weeks have been busy to say the least! I’ve just finished Jury service which was quite an experience! Absolutely exhausting (and freezing cold!!) but definitely not boring….! 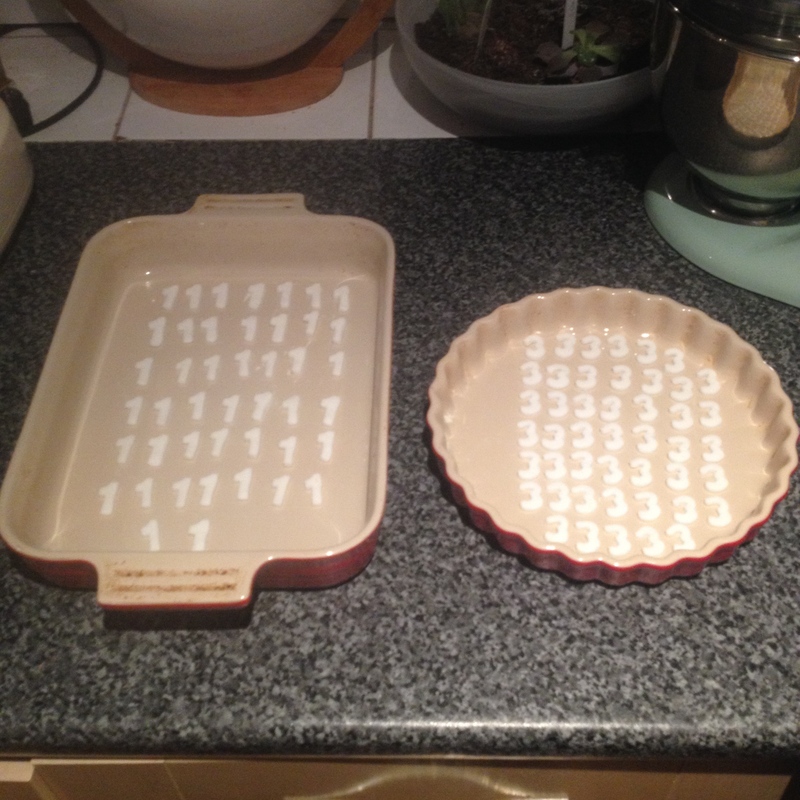 You wouldn’t believe it but I’ve actually done loads of baking of the past 2 weeks…..and I didn’t photograph any of it!! Why? No idea…. 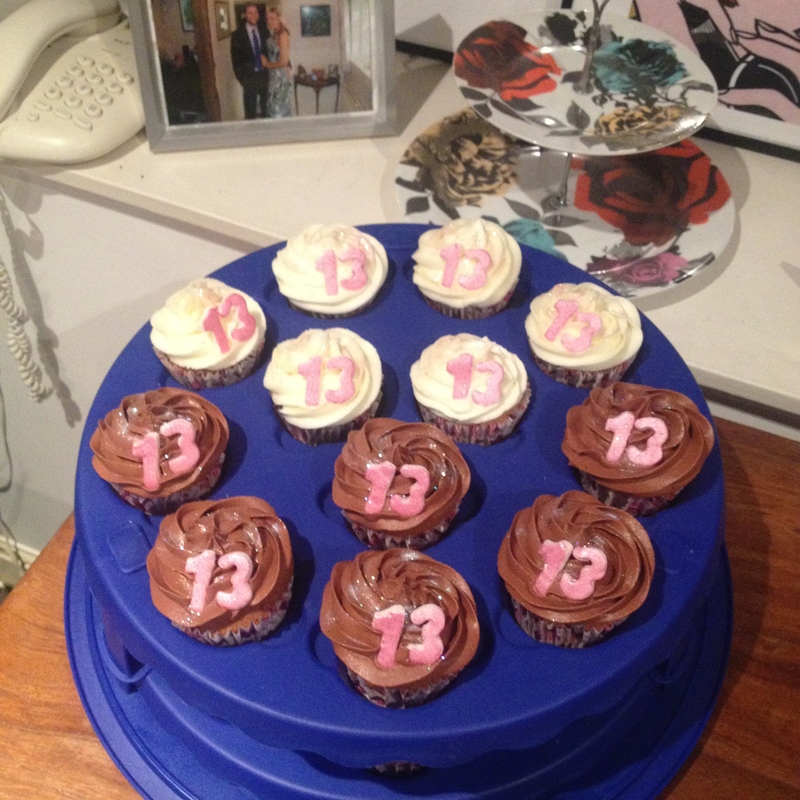 I did however get asked by a lovely work colleague to make 36 cupcakes for her daughters 13th birthday party! Naturally I happily obliged and set to work on a bit of a brief….which is exactly what it was! 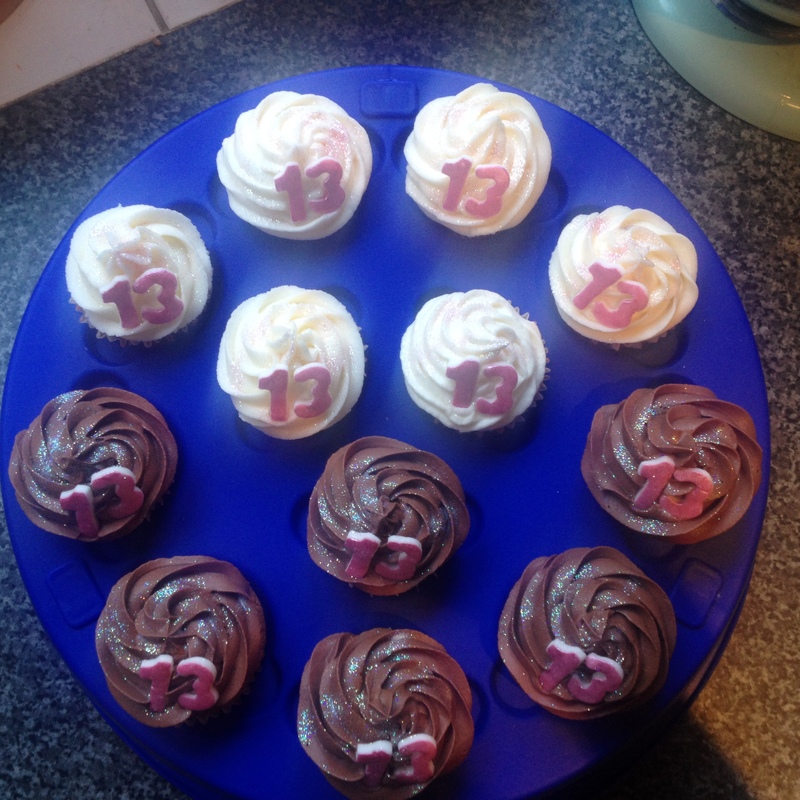 The birthday girl wanted 18 vanilla cupcakes with vanilla icing and 18 vanilla cupcakes with chocolate icing…..that’s pretty simple then! 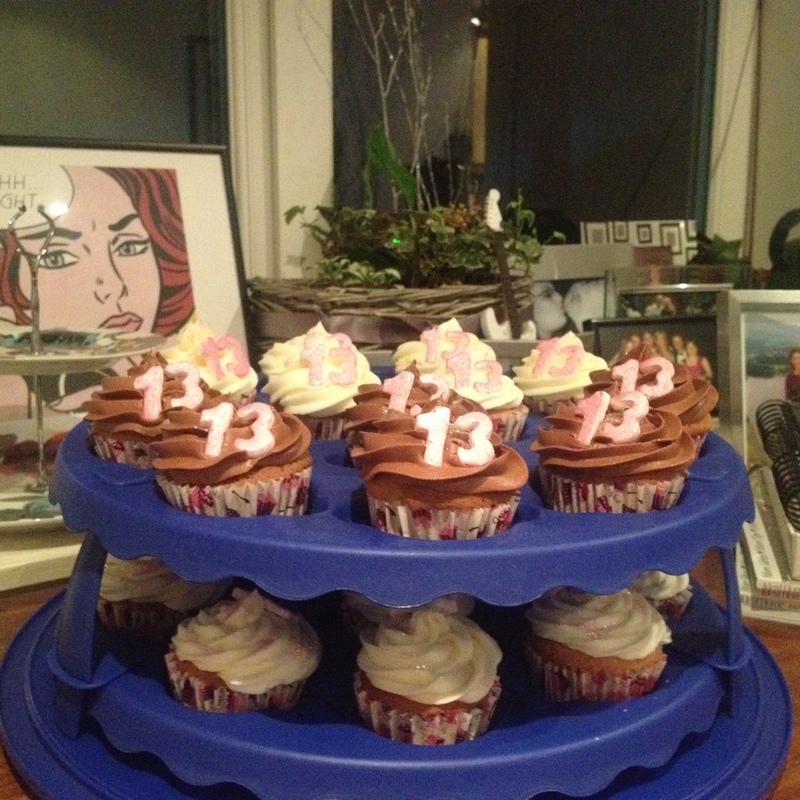 I wanted to girly them up a little as I was aware that the birthday girl was indeed a ‘girly girl’. 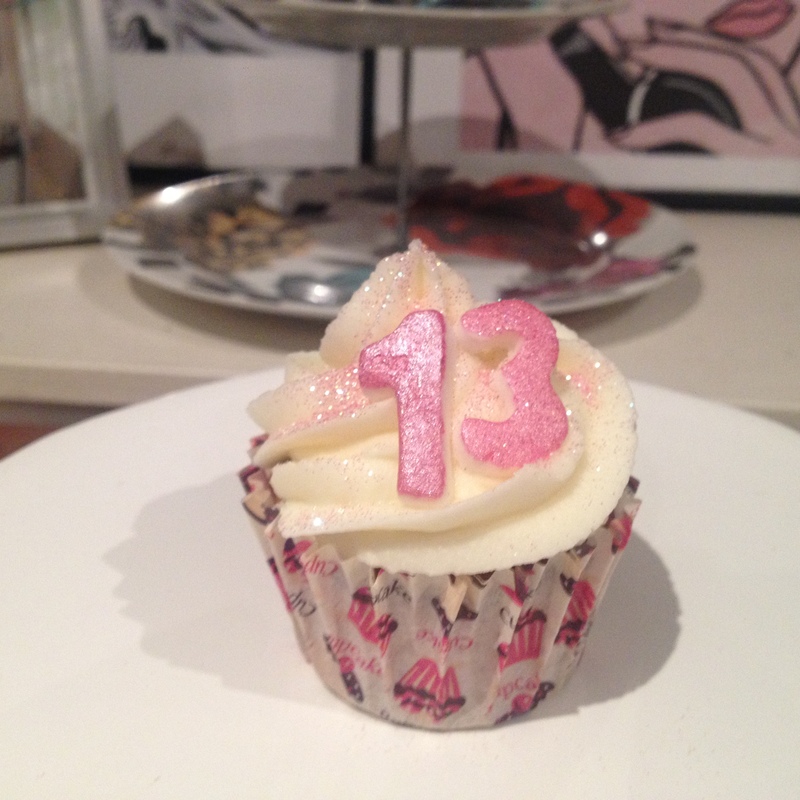 With this in mind I settled on using edible glitter in 2 different colours and using an edible paint in pink to paint the ’13’s’ I would be using as decoration on the cakes. 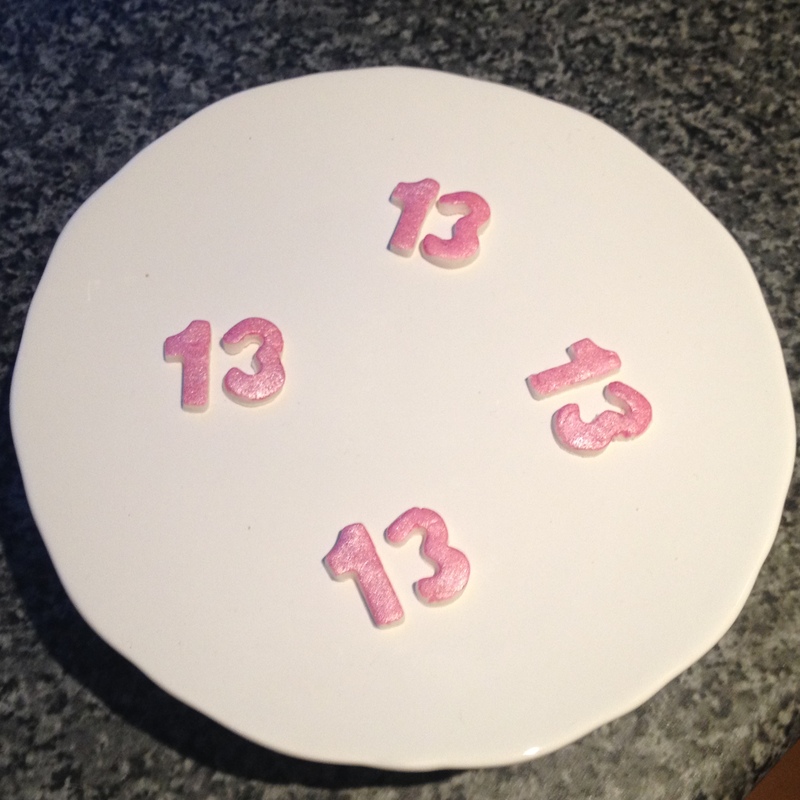 I cut the number 13’s out of white icing 4 days before they were needed in order to let them dry and stiffen and 2 days before the party, I painstakingly painted each number pink! It took me over an hour to do but I was really happy with the result! Its difficult to tell from the snaps (phone camera – sorry!) but there is a ton of glitter on these babies! 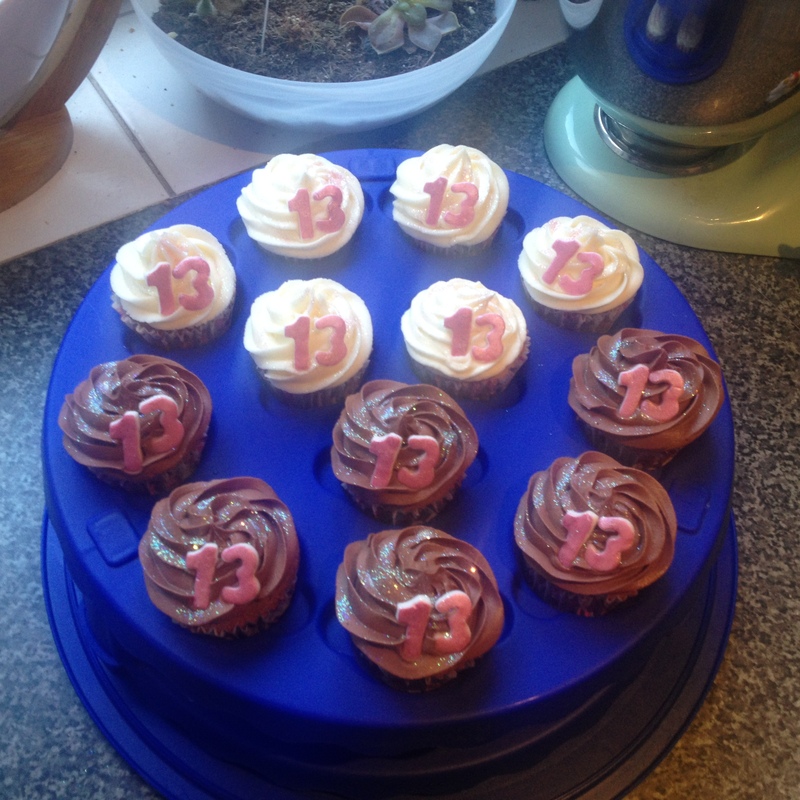 I also used my newest piping nozzle – I already know that I shouldn’t love it quite as much as I do!!! 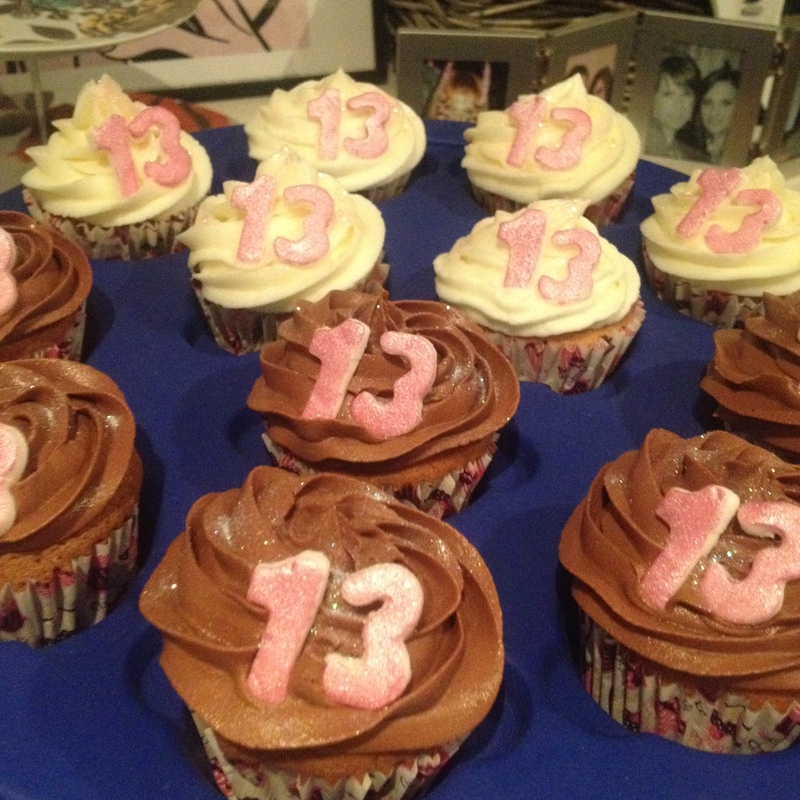 This entry was posted in Cupcakes and tagged 13, birthday, Chocolate, cupcakes, edible, glitter, vanilla by stephandpenny. Bookmark the permalink. These look beautiful and fun, Steph! I can see the glitter and the hard work you put into those decorations! Thanks Ngan! 🙂 I really enjoyed it and I’m happy with the result. The decorations weren’t difficult but very time consuming! Delicious. Hope the daughter enjoyed the birthday!